You'll never need another guide again. 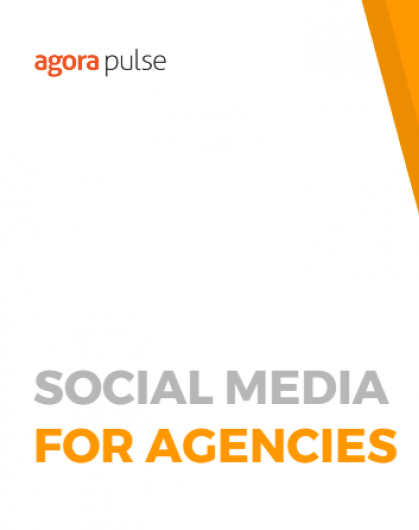 This guide covers everything you need to know about managing social for your clients -- all the way from strategy and deliverables to analytics. Get your clients on board (and succeeding) on social! Strategy doesn't just come out of thin air. You need to define objectives and establish your target audience and brand voice. Actually creating the content may be your biggest challenge. This chapter includes tons of resources so you don't get stuck in a creative block. Engaging with your clients' audiences is the key element in promoting social growth and building connections. Here's how to do it the right way. You want to make sure you are keeping track of the numbers that count. Here's exactly what those numbers are. With social media networks being used as search engines, brands can take advantage of social media and use it to educate consumers about their offerings while building up brand loyalty through visuals and messaging. With this guide, every prospect you speak to will know they need you to make this happen. Don't miss out on this valuable guide! Dhariana Lozano is the co-founder of Supremacy MKTG, an NYC agency dedicated to getting brands to dominate the digital universe. Free guide: All you will ever need to know in 40 pages.